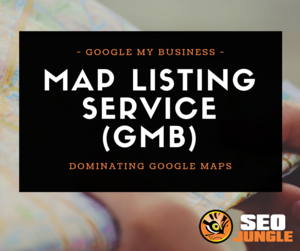 MAP LISTING SERVICE FOR ONLY $130!! Each My Map is hand built. We include 1k words of SEO optimized tier 1 content that revolves around your niche. We can include up to 5 URLs within the relevant content ( naked anchor text only!) as well as the consistent company NAP, company images or YouTube video, in addition to local driving directions from local points of interest back to your business. Authority My Maps will pick up your regular Google Maps Listing allowing you to stack all of that local relevancy to your Google Maps Listing. Can u do garage and lockamith? Hi loyal123. Unfortunately, we can't do this service for the following niches. Garage, Locksmiths and Rehab Clinics. Is this a service to setup and verify a gmb? Hi moneyg. Yes, this service also do gmb verification.